At a much-hyped press conference in San Francisco today, Nest rolled out a significant batch of new and updated products for their smart home brand. In addition to updates to the Nest Thermostat, they have unveiled a second-generation Protect—which is redesigned to avoid the potentially deadly flaw of the first generation version—and their very first security camera, the Nest Cam, which the Google-owned company developed after acquiring Dropcam last year. 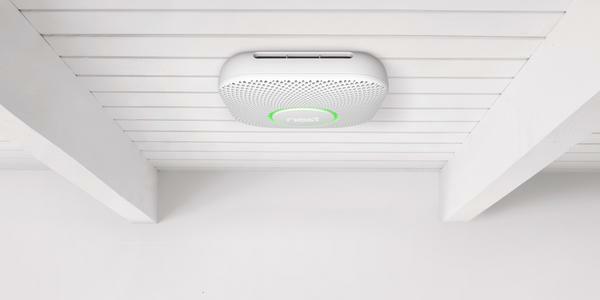 The new Nest Protect—the company’s smoke and carbon monoxide detector—has been completely redesigned to be 11 percent smaller than its predecessor, and uses a “split spectrum sensor” to detect fires, which is reportedly an upgrade from the single photoelectric sensor of the first generation. This new sensor will read shorter wavelengths and detect fires earlier than others on the market—something the company believes is key as modern building materials burn faster. And perhaps of greatest importance, it will be able to be silenced via smart phone—the “wave to silence” capacity of the first-generation was buggy enough that the Protect had to be taken off the market. The Nest Cam home security camera records 1080p video at 30 FPS with a 130-degree field of vision, and has a infrared visibility range of 20 feet at night. While one will be able to live stream footage from the camera, Nest has announced that they will unveil a cloud service called Nest Aware to save footage for viewing later. The camera is currently available for preorder and costs $199. In addition, Nest has announced a new update to their thermostat, with more refined Safety Temps and integration with the new Nest Protect. And to package it all together, the company unveiled a new smart phone app so you can monitor all your Nest smart home products from a single program.